Death of St. Ansgar. 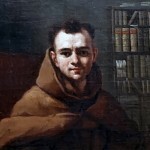 St. Ansgar was born on September 8, 801 in Corbie (in modern France). In 823 he became a teacher in the newly founded monastery in Corvey, Westphalia (modern Germany). In 829 he founded the first Christian church in Sweden. He returned to Germany in 831 and became the first bishop of Hamburg. 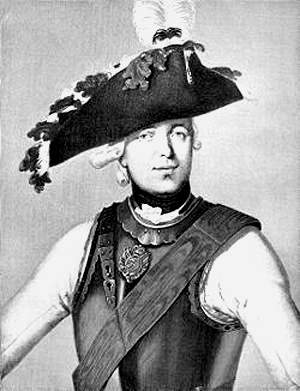 He continued his work of christianization in Denmark and Sweden, but after attacks by the Vikings not only was Christianity halted in those lands, but Hamburg itself was destroyed (845). He was then made the first bishop of Bremen. 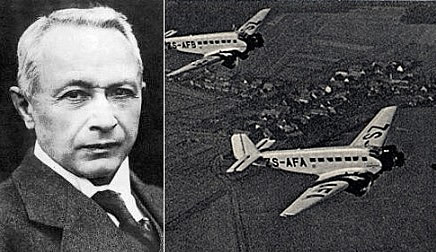 From there he continued his efforts to bring Christianity to the Scandinavian countries. He died in 865 in Bremen. Through his efforts he is known as the Apostle of the North. He was canonized by Pope Nicholas I. He is the patron saint of Denmark. February 3 is the feast day of St. Ansgar. Death of Johannes Gutenberg (1395-1468) in Mainz. 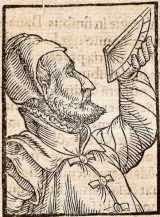 He was a German blacksmith, goldsmith, printer, and publisher who introduced printing to Europe. His invention of mechanical movable type printing started the Printing Revolution and is widely regarded as the most important event of the modern period. It played a key role in the development of the Renaissance, Reformation, the Age of Enlightenment, and the Scientific Revolution and laid the material basis for the modern knowledge-based economy and the spread of learning to the masses. 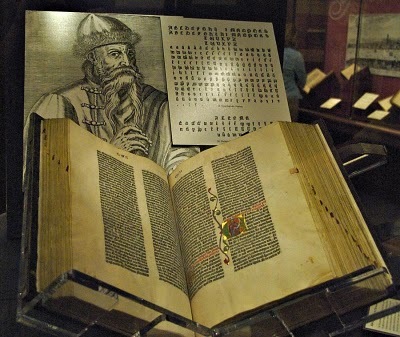 His major work, the Gutenberg Bible (also known as the 42-line Bible), has been acclaimed for its high aesthetic and technical quality. Birth of Johann Georg Albrechtsberger in Klosterneuburg, Austria. 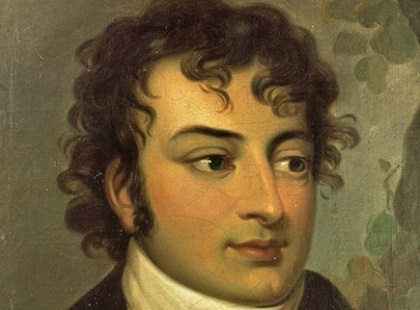 An organist and composer, Albrechtsberger was appointed court organist in Vienna in 1792 and music director at St. Stephan’s Cathedral in Vienna in 1793. His most noted student was Ludwig van Beethoven. Birth of Wilhelm Gesenius in Nordhausen, Germany. Gesenius was a professor of theology at the University of Halle. 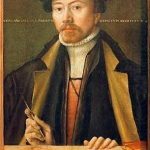 As a theologian he was not remarkable, but he made major contribution to the study of Semitic languages, publishing several grammars and dictionaries. Birth of Jacob Ludwig Felix Mendelssohn Bartholdy (1809-1847), known generally as Felix Mendelssohn, in Hamburg, Germany. 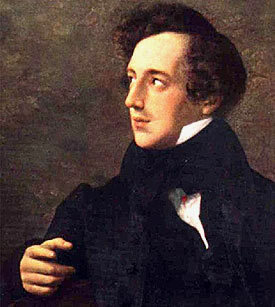 The composer, Mendelssohn, is one of the outstanding figures in the history of music. Mendelssohn was born to a Jewish family in Hamburg, but was baptized a Lutheran. The name, Bartholdy, was taken from a wealthy uncle and attached to the Mendelssohn name at the time the uncle’s properties passed to the family. 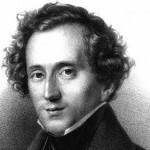 A child prodigy, Mendelssohn gave his first public concert at age 9 in Berlin. He wrote one of his masterpieces, the Overture to A Midsummer Night’s Dream at age 17. In 1843 Mendelssohn founded a conservatory of music in Leipzig where he and his friend Robert Schumann taught composition. 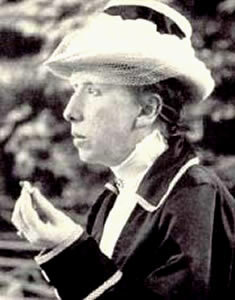 Birth of Annette Kolb (1870-1967) in Munich, Germany. The writer, Annette Kolb (pseudonym of Anne Mathilde Kolb), emigrated to France in 1933 and later to the United States. Among her works are Die Schaukel, Das Exemplar, and Briefe einer Deutsch-Französin. She was awarded the Literature Prize of the City of Munich on her 75th birthday.